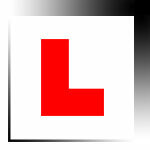 You can upgrade your website service at QuickontheNet.com and then add documents to your driving school website. Your starter site comes with 4 galleries as standard. This upgrade will allow you to convert any (or all) of your galleries into document galleries. This means you can create your own online document library in your website. If you wish, the 'Document galleries' upgrade can be combined with the 'Extra galleries' upgrade, meaning that you could have a grand total of 20 'Document galleries'.